winning his fourth race in four starts, which is another history making accomplishment. year. 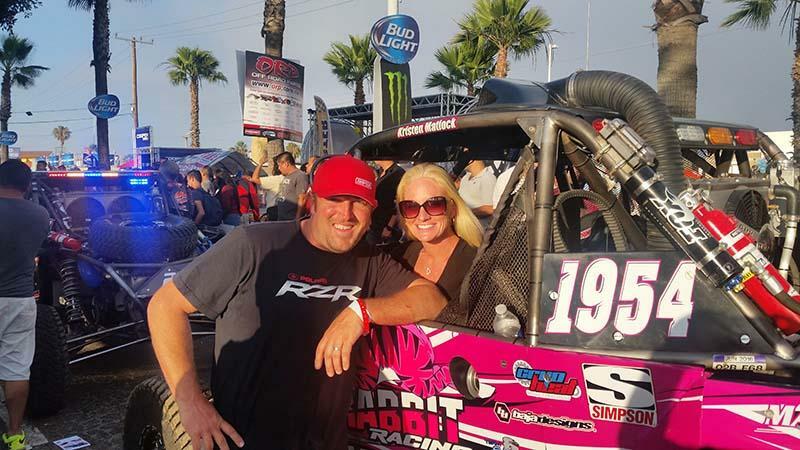 He has also scored victories in the Imperial Valley 250 and the Baja 1000. McGaughy discovered a leaking oil cooler. Her team quickly made repairs and she was off. waiting their turn to make an attempt at the silty hill climb that was causing the log jam. 250, and Baja 1000 in last year. mechanical skills to the test. “In the past, when I managed the team, I always felt like I was only served the main course. month later she finished second at the Mint 400. The Matlocks will return to the SCORE series during the 49th Baja 1000 Nov. 16-20.